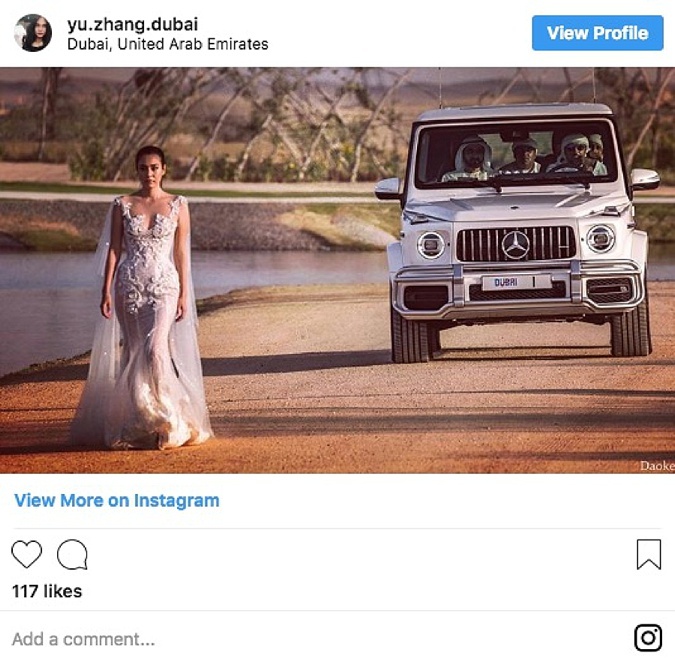 Last week on March 14th, nine lucky couples travelled from China to take part in a group ceremony at the beautiful Al Qudra man-made park, Love Lakes, to say their ‘I dos’ in the middle of the two iconic heart-shaped lakes. 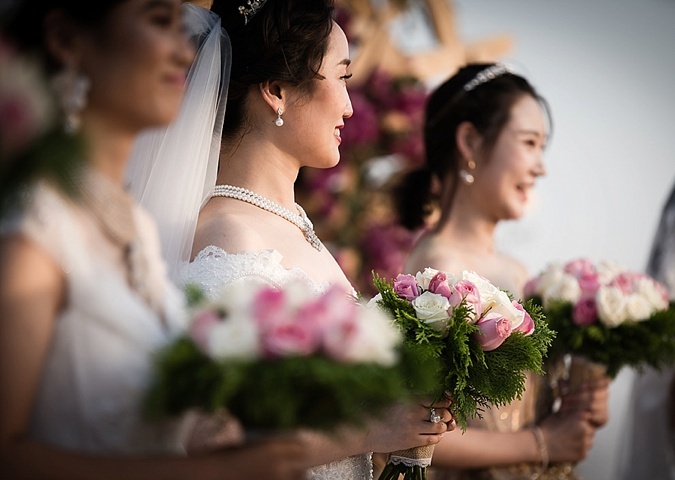 The special occasion for the Chinese couples was made possible by Hala China, a joint initiative by Meraas and Dubai Holding, and it was the first time that the Love Lakes have been used for an exclusive, private event. If you haven’t come across the Love Lakes before, they’re located approximately 10 minutes away from Al Qudra Lake in the Al Salam Desert. As well as the two gigantic intertwined heart-shaped lakes, this venue offers something quite special for nature lovers with around 150 species of birds including falcons, eagles, ducks and swans which all roam freely around the lakes. 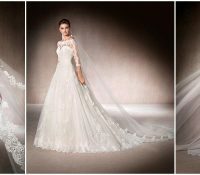 Amongst the peaceful setting of the lakes and the vast sand dunes, the nine beautiful brides came down the aisle in gowns designed by one of China’s leading wedding and evening dress companies. Little Paige Boys and Flower Girls threw rose petals on the sand as romantic classical music was played in the background. 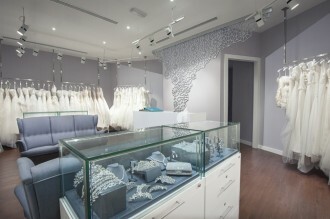 “The glamorous knot-tying occasion saw the serene lakes near Al Qudra transformed into a picturesque landscape for the culturally curious couples who wanted to hold their wedding ceremony amid the sprawling tranquility of Dubai’s undulating sand dunes,” said the Dubai Media Office in an official statement. At some point during the romantic proceedings, a rather unmistakable G-Wagon with a very renowned number plate turned up to check in on the momentous event. 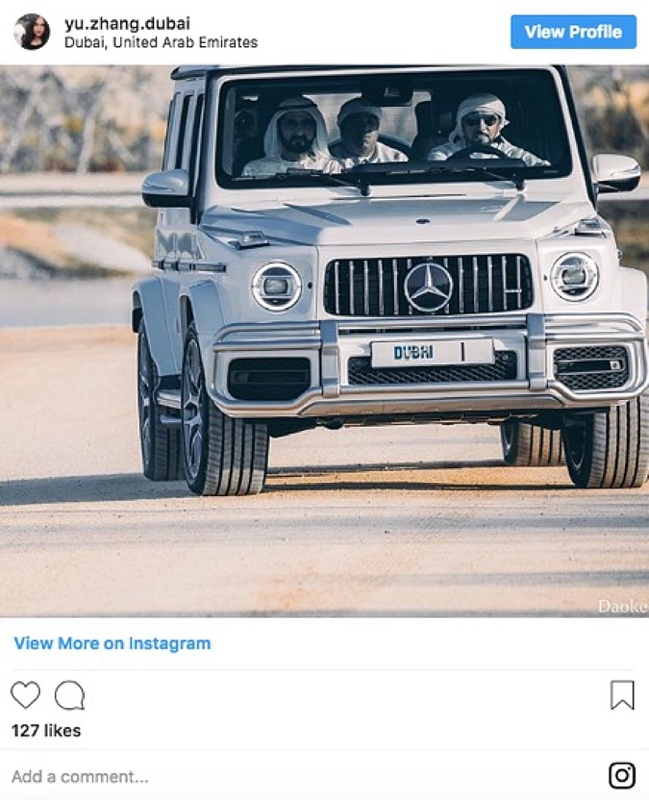 Of course, we’re referring to HH Sheikh Mohammed bin Rashid Al Maktoum Vice President and Prime Minister of the UAE and Ruler of Dubai, who was seen driving through the lakes as the wedding was taking place. Now that is a guest of honour! 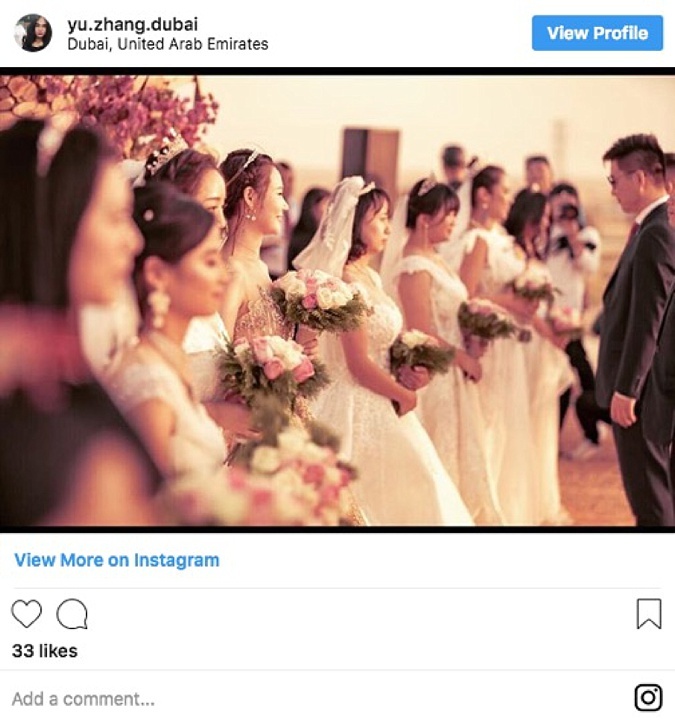 As 2019 marks the Year of Tolerance here in the UAE, this group wedding was a fantastic testament to the nation’s commitment to celebrating different cultures and offering a place where people from all over the world can feel at home. The Love Lakes is officially open to the public. 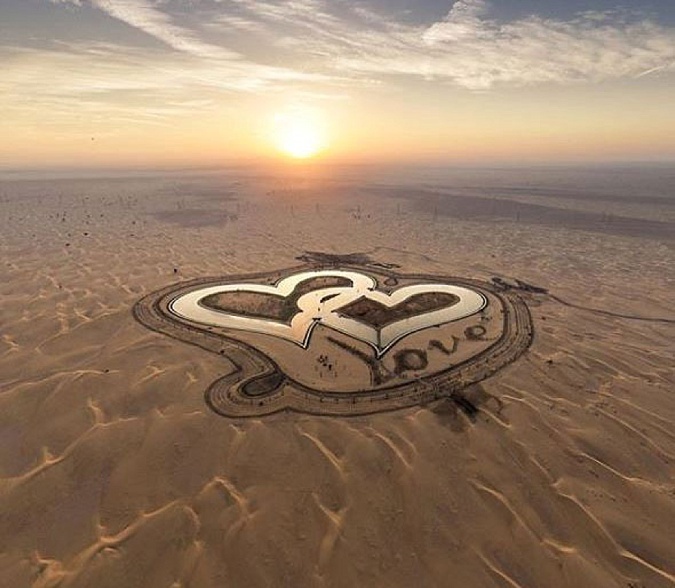 If you’d like to find out more about this stunning gem in the middle of the Dubai Desert, you can visit https://www.visitdubai.com/en/pois/al-qudra-lakes.